WASHINGTON — Time magazine has named U.S. Sen. Bob Corker as one of its 100 most influential people in the world. “I am grateful that Tennesseans have given me the tremendous privilege of serving them in the United States Senate, and I am deeply humbled by this honor,” said Corker, a Chattanooga Republican who serves as chairman of the Senate Foreign Relations Committee. 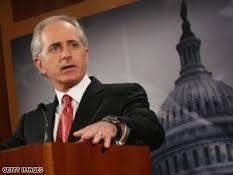 Corker also this week won a victory in building a bipartisan consensus to support a bill that would give Congress an opportunity to review the deal between the United States and Iran on limiting Iran's nuclear program, specifically barring the development of a nuclear bomb by Iran. In an era of congressional gridlock, Corker brings a refreshing level of pragmatism in his leadership of the Foreign Relations Committee. While the notion of pragmatism may be damning praise for those who see everything in stark ideological terms, we think Corker is exhibiting the common sense that now seems sorely lacking in Congress – on both sides of the aisle. My Comment: I think the praise being heaped on Bob Corker is well deserved.We need more statesmen in Congress like Bob Corker. We need more people who can get things done. In my view, the well of good will and compromise was poisoned when Democrats pushed though Obamacare without allowing a single Republican amendment to be considered, and before the bill had even been read, on a strictly partisan vote without the support of a single Republican and used bribery such as the Corn husker kickback and the Louisiana purchase to even get sufficient Democrat votes to pass it. The well of goodwill and compromise and respect for the opposition was further poisoned by a president who pushed the limit on ruling by fiat, by administratively making over 30 changes to the health care law after it was passed and by declaring he would not enforce immigration law and other unilateral actions more characteristic of a monarch than a president. Despite the actions that led to the current climate of ill will, we still need pragmatism and compromise, and civility and respect toward those with whom we may disagree. An all-or-nothing, scorched-earth, take-no-prisoners position accompanied by bombastic rhetoric and demonizing of everyone who does not agree with you 100% is not conducive to good governance. Persuasion and compromise and listening to the other side is still how things usually get done. That is not how Democrats got Obamacare, but look where that left us. If we wait until we have the votes to get a 100% of what we want without compromise, nothing may get done. We may wait a long time. Bob Corker got the Iran deal done by hard negotiations and reasoned persuasion and compromise. A bumper-sticker type denunciation of the opposition may get a Senator face-time on TV and the base may like the red meat, but it rarely produces results. 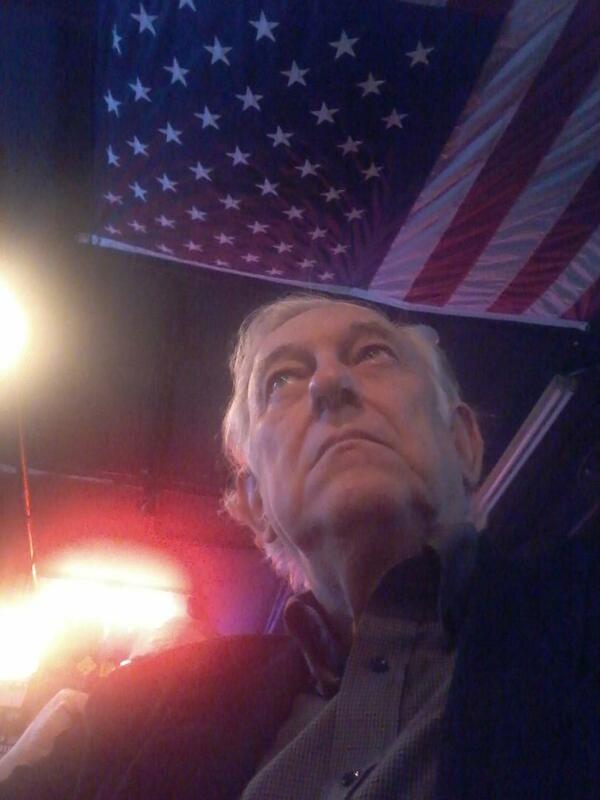 Rod, your take on Corker is alarmingly misinformed… Obama has again rolled gutless Senate Republicans, who - thanks to Bob - RELINQUISHED the power of the Senate to ratify treaties… Now the so-called "deal" (i.e., surrender) goes through not with the approval of 67 senators, but AUTOMATICALLY unless they stop it -- which they won't… Having turned "advise and consent" on its head, ceded to Obama their most essential role, and made a mockery of the Constitution, they - thanks to Bob - have set the conditions for a terrorist regime to obtain the most horrifying weapons of war.